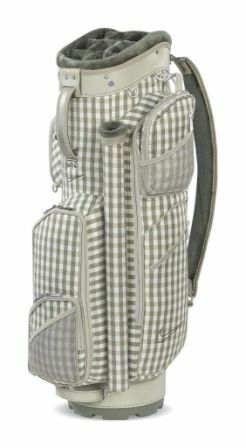 (HUNTINGTON BEACH, CA)—Club Glove®—a worldwide leader in the design and manufacture of premium golf bags, club covers, travel bags, accessories and luggage—confirms its standard-setting microfiber Caddy Towel was used by a member of the winning team in the season-ending Franklin Templeton Shootout at Tiburon Golf Club in Naples, FL. Easily distinguishable on television at all PGA Tour events by the waffle texture and stitched trim, the Caddy Towel is available in a tandem package with a Pocket Towel that comes as a gift with purchase. A $10 value, the Pocket Towel measures 8 inches by 12 inches and is perfectly unobtrusive in a back pocket when conditions are damp and it’s essential to clean your clubs and ball. Both ultra-lightweight towels are super absorbent and virtually lint free. They are available on the company website and at hundreds of the finest public and private facilities worldwide, Club Glove products may also be found at major retailers such as Golf Galaxy, Golfsmith, PGA Tour Superstores, Edwin Watts and Worldwide Golf. Club Glove is also the undisputed No. 1 golf travel bag brand at all PGA and Champions Tour events. The Darrell Survey confirmed that the brand is preferred by 90 percent of PGA Tour Players. Selected by six U.S. Ryder Cup teams, Club Glove’s high-end, Made-in-the-USA golf bags have been a fixture at green grass and off course shops for nearly a decade and are available in stand, cart and Sunday versions. Based in Huntington Beach, CA, West Coast Trends Inc. was founded in 1990. A worldwide leader in the design and manufacture of premium luggage, golf travel bags, stand bags, club covers and accessories, its products have been tested and approved by the world’s most demanding travelers, including pilots at all of the major airlines. The overwhelming choice of serious golfers, the company’s Club Glove® products are used by more than 90 percent of PGA and Champions Tour players and have been selected by six U.S. Ryder Cup teams. (TRAVERSE CITY, MI)—Dancin’ Dogg Golf—maker of the OptiShot Infrared Simulator, the ultimate in-home virtual golf system—has added West Maui Plantation, a stunningly accurate replication of Maui’s most high-profile course, to its library of core courses that are included with the base package. Available now at leading retailers nationwide and via free, automatic download for current OptiShot users, West Maui Plantation contains four holes of more than 500 yards and is considered one of the game’s most challenging layouts. Its breathtaking design incorporates soaring mountains, expansive ocean vistas and scenic pineapple plantations that combine to create a truly unforgettable experience. West Maui Plantation is one of 11 world-class layouts in the core course library, alongside Torrey Black, Long Island Black, Canadian Club and The Golf Club Scottsdale. OptiShot (MSRP: $399.95) connects with Windows computers via a plug-and-play interface and requires only 8-½ feet of swing space. With their own clubs, up to four players per round can compete by hitting real balls, foam balls (provided) or no ball at all. Infrared sensors on a durable swing pad precisely record club-head speed, face angle, swing path, distance, tempo, face contact and ball flight. In addition to Core courses that come with the system, OptiShot users can practice and compete on the par-3 option or a realistic driving range. In addition to the library of core courses, users can purchase a wide range of premium layouts at http://www.dancindogg.com—including Atlanta Highlands, Capitol Club, Cogs Corner, Jones Lake, Monterey Classic, Old Scot, Ponte Vedra, Royal Melbourne, Royal St. Marks and Whispering Dunes – for $49.95 each. Dancin’ Dogg Golf was recently ranked one of America’s fast-growing entrepreneurial companies by Inc. Magazine, placing No. 358 on the prestigious Inc. 500 list for 2011. This honor was based on the company’s 951.2% revenue growth from 2007 through 2010. That increase was fueled by exceptional demand for OptiShot, a fun, accurate, affordable and easy-to-use golf simulator that allows players to improve their games from the comfort of home. Based in Traverse City, MI, Dancin’ Dogg Golf was founded in 2005 and specializes in developing innovative technologies. The company was recently named to the prestigious Inc. 500 list as one of America’s fastest-growing entrepreneurial companies. Other distinctions include winning ScoreGolf’s 2010 Research & Development Award. Dancin’ Dogg’s product range is highlighted by the OptiShot Infrared Golf Simulator and its expanding library of world class courses that golfers play anytime, anywhere. Durable and built to last, OptiShot comes with a 180-day warranty and has been heralded by leading authorities nationwide, including GOLF Magazine, Golfweek, Sports Illustrated, Wired and Golf Channel. For more information: http://www.dancindogg.com, http://www.facebook.com/dancindogg, 866.941.3644. (RIDGEFIELD, CT) – Boccieri Golf reports sales of belly and long-shafted versions of its Tour-proven Heavy Putter have surged and accounted for 40 percent of revenue the past two months, thanks to the company’s ability to quickly and easily convert any of its award-winning models to a custom length. Given its unique position, Boccieri Golf has been the only major OEM properly equipped to fulfill all orders from green grass and off-course shops. This is driven by the fact that each Heavy Putter already features the extra head weight that is necessary in belly and long-shafted putters. To better suit inquiries from all market segments, Boccieri Golf has added a section to its website for players looking to purchase longer putter models at http://www.boccierigolf.com/fitting/belly-putter/. This includes information on key elements such as properly measuring for length and the various blade and mallet options. Standard length Heavy Putter models include a counterweight under the grip. This back-weight is modified in belly and long putters to accommodate the increased mass of a ski-pole shaft and 21 inch or two piece grips. Adjusted to suit the Heavy, Mid or Lite series, the specifically-placed weight engages the body’s larger muscles for a consistent swing path, uniform pace and precise distance and directional control. Custom Options will be made available at the new Boccieri Golf Research and Performance Center in Scottsdale, AZ to better dial in on the correct lengths and balance point necessary to optimize belly or long putters. Earlier this year, the company’s full-swing line of “Control Series” clubs was unveiled to critical acclaim. This included being honored as the “Most Surprising New Clubs” from the 2011 PGA Show by GOLF Magazine. BEAVERTON, Ore. (December 5, 2011) – Nike athlete Tiger Woods is back in the winners’ circle with a win at the Chevron World Challenge that came in a stunning dramatic “Tiger-like” fashion. With two holes left to play in the final round, Woods needed a critical birdie putt on the 17th to tie and another one on the 18th to win. He accomplished both by making the 15-foot birdie putt on 17 and a 10-footer to seal his victory on 18, using his Nike Method 001 putter. This marks his first win with the Nike Method putter and the 36th Method victory for Nike Golf on the worldwide professional tours. With 14 Nike Golf clubs in his bag, Woods was also pleased with his iron play with his Nike VR Pro Blades. Rounding out his Nike arsenal were his Nike VR Tour driver, Nike VR Pro Limited Edition fairway woods and the Nike VR Pro wedges. He also used the Nike ONE Tour D ball. On the body, Tiger wore Nike Golf apparel from the Tiger Woods Collection as well as the new Nike TW Free-inspired prototype golf shoes that emphasize natural motion in the feet. These Nike prototype shoes will become available in late Spring of 2012. Another Nike athlete emerged at the top of the leaderboard—Paul Casey. Casey made an amazing comeback after shooting 79 in the first round by charging up the leaderboard to finish in solo third position after posting three rounds in the 60’s from the second round on to finish. Located in Beaverton, Oregon, Nike Golf designs and markets golf equipment, apparel, balls, footwear, bags and accessories worldwide. Nike Golf is passionately dedicated to ushering in the future of this great game by developing ground-breaking innovations that enable athletes to perform at their physical and mental peak. For more information on Nike Golf, visit our Web site at http://www.nikegolf.com. To follow Nike Golf on Twitter visit http://www.twitter.com/nikegolf and go to http://www.facebook.com/nikegolf to become a fan on Facebook. Editors and journalists in the U.S. seeking editorial information and downloadable images, visit http://www.nikegolf.com/presscenter. For international journalists, please contact Nike Golf’s public relations representative in respective countries for information. December 6, 2011 (Cape Town, South Africa) – Golfweather.com, an online weather forecast service for golf courses and golf destinations, is now tracking up-to-the-minute weather conditions at over 16,000 golf courses throughout the U.S. The brainchild of South African entrepreneur Moshe Adir, a 14-year veteran of online start-up businesses, Golfweather.com is a golfer’s 15th club in the bag offering accurate and real-time seven-day forecasts that include temperature, wind speed and direction, comfort level and probability of rain. “We gather raw weather data from renowned meteorological organizations and use my own forecast algorithms and weather models to provide longitude and latitude location-based forecasts for each golf club in the U.S. and around the world, which results in an incredibly accurate picture of what the weather is going to be like there on any given day,” says Adir, a three-handicap golfer. “Our detailed forecast is broken down into three hourly segments for 5a.m., 8a.m., 11a.m., 2p.m., 5p.m. and 8p.m. to give the golfer an understanding of when best to tee off. To get the accurate weather data, golfers simply search by golf course or location on Golfweather.com. They can choose to see a 7 Day Detailed Forecast or a Summary, which lists conditions, daily high and low temperatures, daily precipitation probability and an overall playability rating. The service remains free to all users. It’s not only golfers who depend on the weather accuracy of Golfweather.com. Golf course superintendents are now tapping the online source when setting up their courses for the day and deciding on pin positions and tees according to wind directions and strengths. Golfweather.com was founded in 2009 in South Africa, and by 2010 grew to include Canada, Australia, South Africa, Ireland and the United Kingdom. The free online tool now pinpoints weather at more than 26,000 courses worldwide. Golfweather.com has already released its app service for the iPhone and soon for android phones. BEAVERTON, Ore. (December 1, 2011) – Nike Golf is introducing two new golf bags to its successful Nike Brassie II Cart bag collection for women in 2012. Each Brassie II cart bag has been designed in unity with the colors and styles of Nike Golf women’s footwear and apparel so she is coordinated from head to toe. For women who prefer bright colors, there’s the Nike Brassie II Cart bag that carries a vivid argyle pattern in hues of pink and lavender with a classy touch of grey. For those who prefer more of an understated look, there is a grey plaid available. The Nike Brassie II Cart bag incorporates key features and benefits for the female golfer who often uses a trolley or power cart. For maximum organization, the Nike Brassie II Cart bag features a 9-inch, 10-way oval top that is fur lined and includes “stadium seating” for clubs. Stadium seating is a simple configuration that provides easy visibility when making club selections for each shot. An integrated external putter well and glove patch guarantees quick and convenient access. To allow for easy access to gear during a round, there are nine functional pockets, seven of which are zippered. Of the nine pockets there is a large insulated cooler pocket to keep drinks and food cool during a round. The Nike Brassie II also comes with two functionally designed matching accessory pouches. The pouches can either be clipped onto the outside of the bag or placed in one of the nine pockets of the golf bag. To complete the Brassie II Collection, Nike Golf also has designed an array of accessories for women that match up with each of the Brassie II Cart bags, including the Nike Day bag, Nike Bucket bag and the Nike Tote bag. (SCOTTSDALE, AZ) – Boccieri Golf – maker of award-wining equipment such as the Tour-proven Heavy Putter – announces the shift of its corporate headquarters and operations to Scottsdale, AZ, as well as plans for a state-of-the-art Research and Performance Center opening in early 2012. Coinciding with significant growth in demand for the entire portfolio of innovative Boccieri Golf products, the new 9,000square-foot facility is located at 15816 N. Greenway-Hayden Loop. It will enhance customer interaction, specifically through company’s proprietary performance fitting programs. During the relocation process, all business will be conducted as normal with company principals handling day-to-day operations from the Scottsdale facility. The forthcoming Research and Performance Center will incorporate the latest TrackMan, Foresight and Vector Pro launch monitors and accessories, allowing Boccieri Golf representatives to precisely analyze golfers’ swing characteristics and prescribe equipment for optimal performance. Also available will be Science and Motion (SAM) Puttlab analysis. This training system based on accurate ultrasound measurements provides invaluable data on the putting stroke, helping determine which models are best for players. All custom swing clubs and putter building will take place on-site, with a variety of after-market components available. Operating under the direction of Stephen Boccieri, the new R&D laboratory will focus on conceiving and testing groundbreaking concepts. Products which meet the company’s exceptionally high standards for commercialization may be added to the Boccieri Golf portfolio or become part of licensing partnerships with other original equipment manufacturers and retailers. Boccieri Golf’s relocation follows six successful years in Ridgefield, CT, where the company established itself as one of the golf industry’s most forward thinking brands. Its popular Heavy Putter collection and “Control Series” line of full-swing products were the first to integrate counterweight principals. BEAVERTON, Ore. (November 22, 2011) – Nike Golf has introduced the new Nike Xtreme Sport IV Carry Bag designed for effortless comfort and functionality on the course. 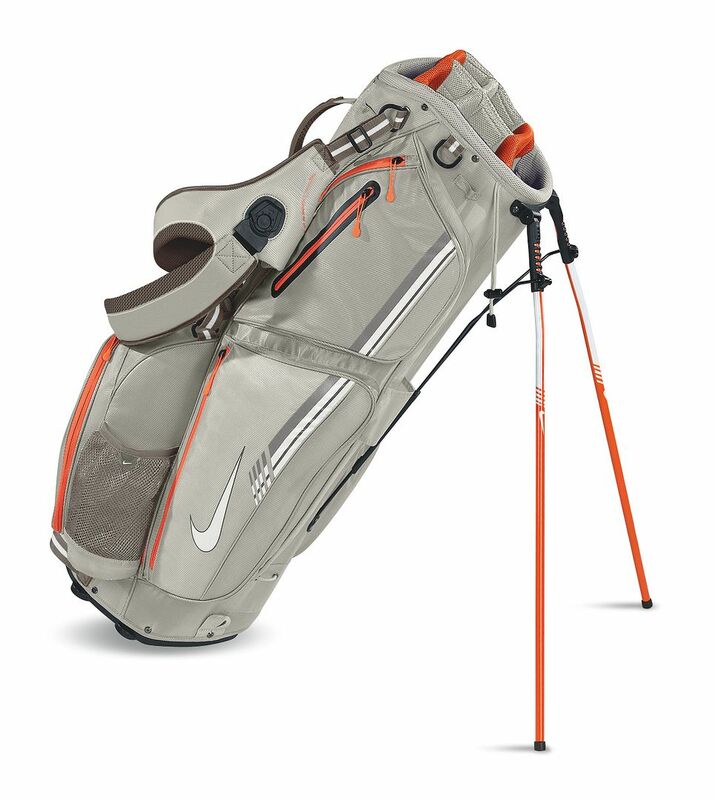 Inspired by Nike’s knowledge of bags since 1972, the Nike Xtreme Sport IV Carry Bag incorporates key features and benefits for the golfer who enjoys walking the course. Featuring a new ventilated air mesh back pad and updated Nike revolving double strap system, every player can pick up and play with comfort and ease. The Nike Xtreme Sport IV Carry also includes new Nike Grind zipper pulls that are made using raw materials from the recycling of athletic shoes through Nike’s Reuse-A-Shoe program and from the recycling of scrap materials left over from the manufacture of Nike product. Additional features include new custom leg end caps to provide ultimate stability and GPS/rangefinder loops for functionality. Available in eight different color options, there is a color for every golfer’s preference. Located at NIKE’s World Headquarters in Beaverton, Oregon, Nike Golf designs and markets golf equipment, apparel, balls, footwear, bags and accessories worldwide. Nike Golf is passionately dedicated to ushering in the future of this great sport by developing ground-breaking innovations that enable and inspire athletes to become better. For more information on Nike Golf, visit our Web site at http://www.nikegolf.com. To follow Nike Golf on Twitter visit http://www.twitter.com/nikegolf and to become a fan on facebook go to http://www.facebook.com/nikegolf. To view Nike Golf videos subscribe to our You Tube channel at http://www.youtube.com/nikegolf. Editors and journalists in the U.S. seeking editorial information and downloadable images, visit http://www.nikegolf.com/presscenter. For international journalists, please contact Nike Golf’s public relations representative in respective countries for information. (MARLBOROUGH, MA) – CHAMP/MacNeill Engineering Worldwide – The World Leader in Sport Cleat Technology® and maker of innovative CHAMP spikes, high-performance golf tees and accessories – confirms both players on the U.S. team that won the 2011 OMEGA Mission Hills World Cup relied on its renowned cleats. Trusting the acclaimed ProStinger and new Zarma® cleat, respectively, the American duo rallied late to capture the trophy at Mission Hills’ Blackstone Course in Hainan, China. This continued the trend of the world’s best players turning to CHAMP, the #1 Brand on Tour®. CHAMP spikes have provided superior traction and stability on the footwear of 27 of golf’s last 33 major tournament winners. Beyond the spike category, the company recently launched the Zarma FLYtee™. Drawing from MacNeill Engineering’s unrivalled 80-year heritage of industry-changing solutions, the FLYtee has quickly become one of the most-used tees on Tour. Made with durable, environmentally-friendly materials, its six-pronged head and shallow cup reduces friction, increases distance and improves accuracy. With more than 100 active distributors, CHAMP is the world’s largest manufacturer of replaceable cleats. The company produces more than 140 million spikes annually and is the dominant global brand in football, soccer, golf, baseball, cricket, rugby and other sports. For more information: http://www.champspikes.com, 1-800-OK-CHAMP. Celebrating 80 years of unparalleled engineering innovations, CHAMP/MacNeill Engineering Worldwide has been a pioneer in cleat technology since it introduced the world’s first locking spike, SURE-LOK. The world’s largest manufacturer of replacement cleats specific to various sports, the company has produced several industry-changing systems under the CHAMP brand and become the #1 choice of Tour golfers. Along with its signature Zarma® and ScorpionSTINGER™ cleats, the high-performance Zarma FLYtee™ was introduced in early 2011. With distribution in more than 100 countries, CHAMP/MacNeill is headquartered in Marlborough, MA, with offices in Europe and Asia. BEAVERTON, Ore. (November 29, 2011) – Nike Golf today announced the signing of 22-year old University of Georgia graduate Russell Henley. Henley has signed a multi-year agreement to represent the Swoosh and will be using Nike Golf clubs, ball, footwear, glove, bag, apparel, headwear and accessories. Henley was born in Macon, Georgia and played college golf at the University of Georgia. A four-time All-American, Henley had an illustrious college career. He won the 2010 Haskins Award as the most outstanding collegiate golfer. He also played in the 2010 US Open and tied for low amateur. Henley tied the University of Georgia men’s golf team record for most career wins with seven and was also named the university’s Student Athlete of the Year in 2011.
Henley competed in the Nationwide Tour’s 2011 Stadion Classic at UGA and won the event. He became only the second amateur in Nationwide Tour history to win a Nationwide tournament. Henley was a member of the 2011 US Walker Cup team before turning professional in September 2011 at the Nationwide Tour’s Soboba Golf Classic. Located in Beaverton, Oregon, Nike Golf designs and markets golf equipment, apparel, balls, footwear, bags and accessories worldwide. Nike Golf is passionately dedicated to ushering in the future of this great game by developing ground-breaking innovations that enable athletes to perform at their physical and mental peak. For more information on Nike Golf, visit our Web site at http://www.nikegolf.com. To follow Nike Golf on Twitter visit http://www.twitter.com/nikegolf and to become a fan on Facebook go to http://www.facebook.com/nikegolf. Editors and journalists in the U.S. seeking editorial information and downloadable images, visit http://www.nikegolf.com/presscenter. For international journalists, please contact Nike Golf’s public relations representative.